Welcome to Herron’s Sandhills Scotties Website! My AKC puppies are raised in a family environment and not in a kennel. My dogs are sweet natured, well-socialized, laid-back, and intelligent. They have awesome and unique personalities and come from champion bloodlines. I occasionally have brindles and wheatens but usually have more black. 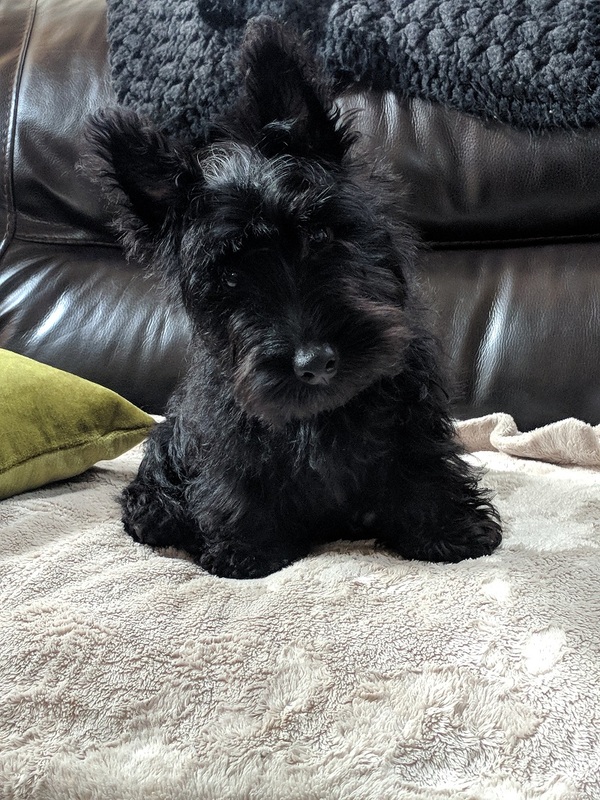 My puppies come with an AKC folder with a puppy handbook and interesting additional information regarding Scotties, a bandana, blanket, toy, treats for puppy and owners, vet checked health record with up to date shots, and a one year health guarantee. 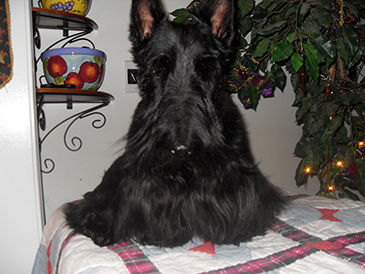 My dogs are vWD clear, have no skin allergies, or any other abnormalities that can affect Scotties. 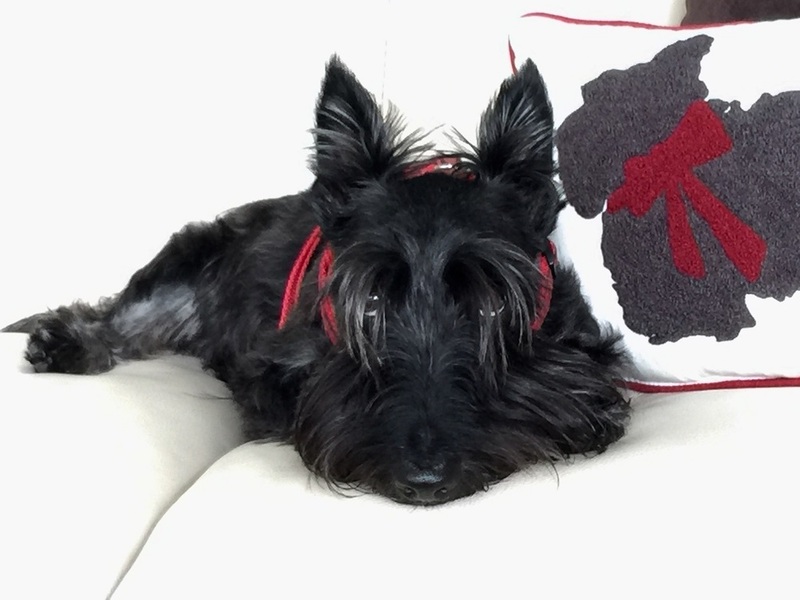 I breed only Scotties. I now have several Scotties with several upfront champions in the bloodlines. I breed for QUALITY not QUANTITY. 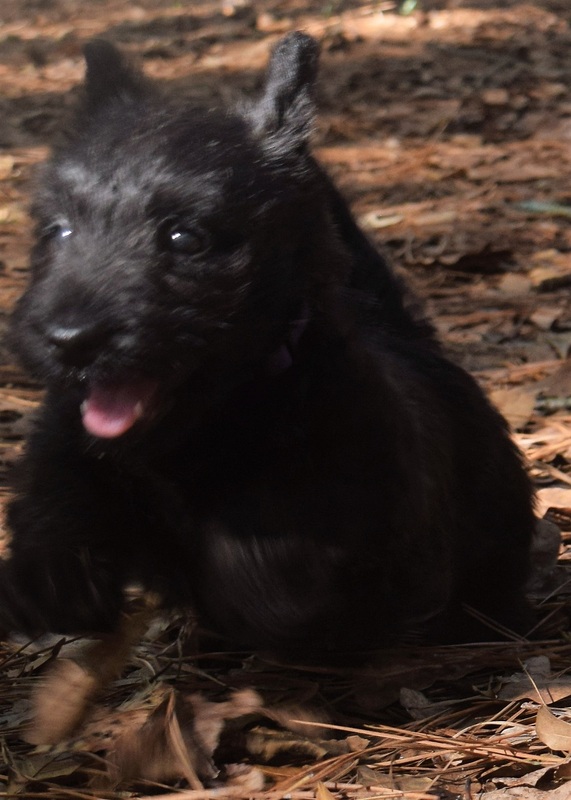 Sandhills’ Scotties are placed with limited registration (puppies can still be registered with AKC but not bred) unless full registration is requested for an additional fee. Full registration means you can breed the puppy. Contact me about the next litter and to be put on a waiting list. Contact soon because waiting lists do fill up fast. There is no obligation. I do not take deposits until the puppies are born. I am very interested in your puppies and would like to be put on your waiting list. 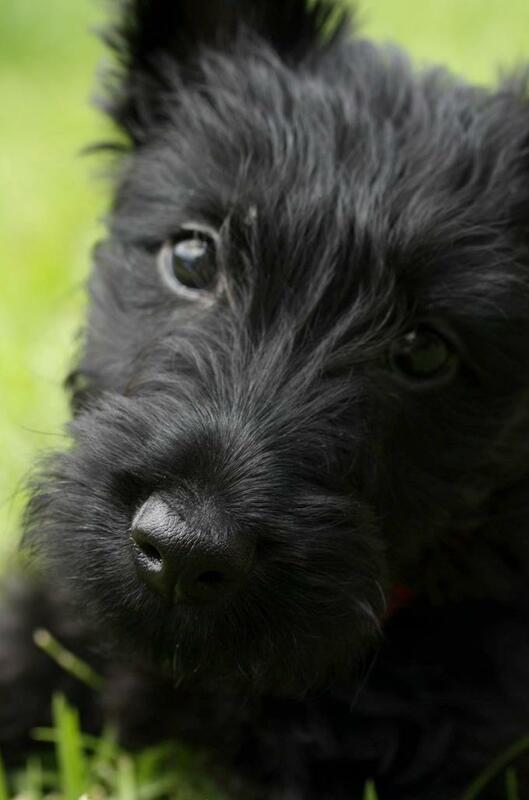 I have been very fortunate to meet one of your puppies and the owners cannot say enough great things about you and your Scotties. The puppy I met is from your March 2012 litter and is a patient at the veterinarian I am the practice manager for. He has the greatest temperament and personality. 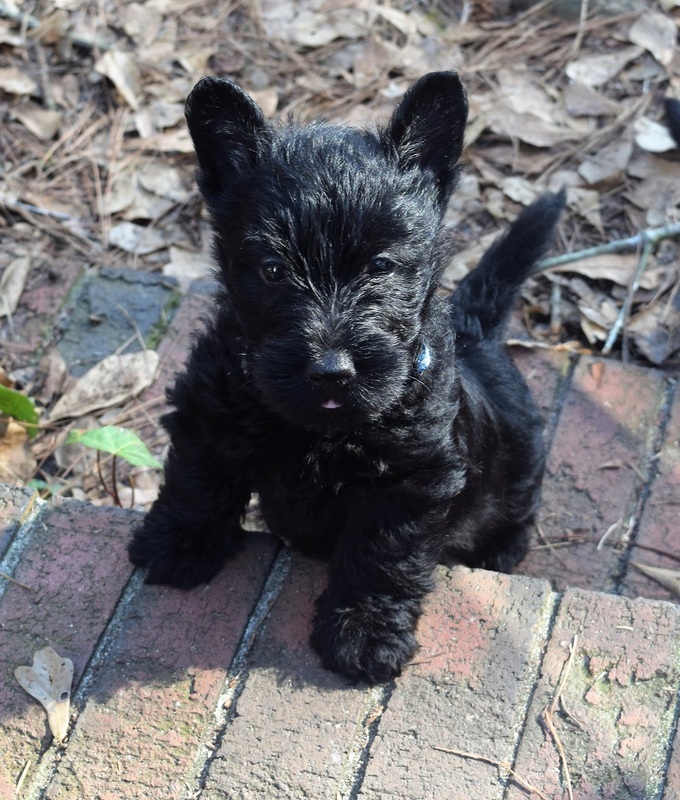 I will have to say you are the first breeder I have not heard any negative comments about, and I have been looking for a Scottie for some years now. Thank you for your time and please let me know if you need any further information. Jane, I think of you often and how glad I am that we waited almost a year to get just the right dog. Morgie’s personality is almost human, and she is known to everyone around. When she’s not waiting for deer to appear in our backyard, she enjoys a walk on the beach. Lance has champion bloodlines from Rococo, Deblin, Anstamm, and Charthill. Lance’s great, great, great granddam is 1995 Westminster Winner: Ch. Gaelforce Postscript (Peggy Sue). Check out Robert the Bruce’s and Sir Broderick the Braveheart’s pedigrees with upfront champion lines. Will Wallace has champions fourth generation Sandgreg.